Kyle was raised largely without the influence of music until his older brother inspired him to buy a guitar shortly after high school. The love affair grew quickly, as did the discovery of vocal abilities, which served initially as salvation from the monotony of amateurishly strumming open chords. In short time, his voice evolved and became the instrument he used to join forces with guitarist Ted Martens. Starting as an acoustic duo making appearances at open mics and front porches, the two put together a college band in Ann Arbor called ByPolar. Ten years later, Kyle and Ted reunited in Colorado to form the alt folk rock group Dixboro Trainwreck before joining forces with the rest of the gang in Zen Mustache. Emily has been singing since she could talk. Her first performances were for sold out crowds of stuffed animals in her family’s basement. At age six, she joined choir and started performing on stage. That was the beginning of a singing love affair, and since then Emily has been involved in choirs, musical theater, and performing on her own. She studied physiology at CU Boulder and was part of an a cappella group, Extreme Measures, while there. Emily has remained in Boulder since graduating, where her love of singing and music led her to Zen Mustache. 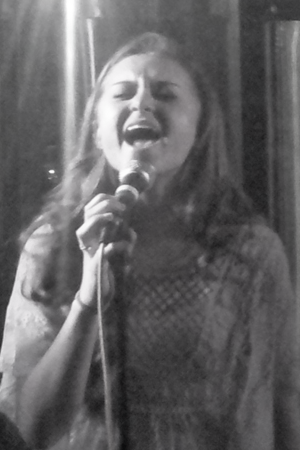 She is thrilled to be a part of such a talented, dynamic, and fun group of musicians! 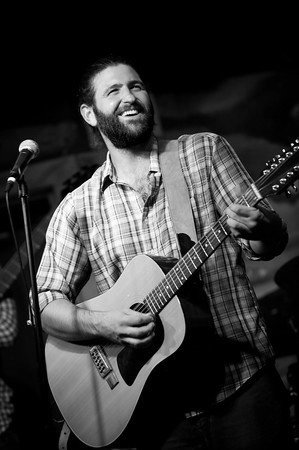 Geoff has been performing in bands from the West Coast to the Rockies since the mid-‘90s. Born in Madison, Wisconsin, he got his first guitar at age six. After high school, he moved to San Diego where he formed the grunge band Bacchus, which later became Government Green. 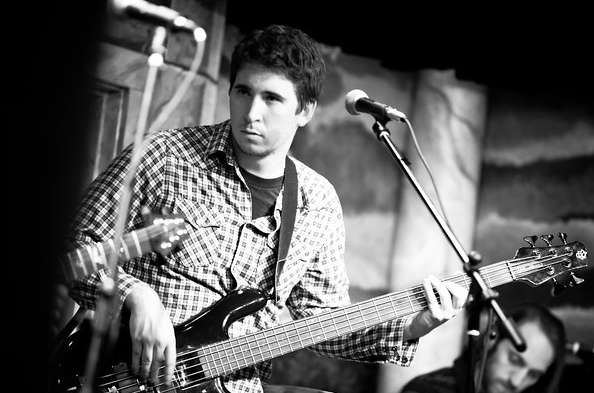 In 1999, Geoff moved to the Front Range of Colorado where he started Blue Monkey Meltdown, a roots-inspired jam band. Upon their breakup, he joined the alt rock band Fragment, where he eventually joined forces with current Zen Mustache bandmates Johnny and Justin. Phil lived in a small town in Nebraska until he was nine, where he started taking piano lessons at age five. Once a week he would make a trek to the big city, Lincoln, where he would suffer for a half an hour learning an instrument he would eventually wish he could play. After moving to Colorado he picked up the trumpet and eventually the bass. Phil played through high school and he eventually went to college in Minnesota where he majored in trumpet and minored in bass performance, and what career opportunities it opens up! He is now fully qualified to play on the 16th street mall or play free shows for the wildlife off of his patio. 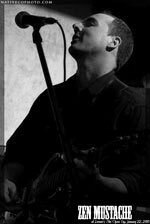 Phil has played with many bands over the years and, after being very lucky and finding a Craiglist ad, he is excited about the level of musicianship and commitment in ZM. Now off to learn the banjo. 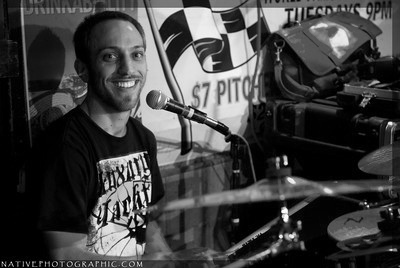 Justin has lived in Colorado since birth, and has been playing drums since age 11, though his musical career started many years prior with a plastic electric guitar toy on his top bunk bed, which served as a makeshift stage. 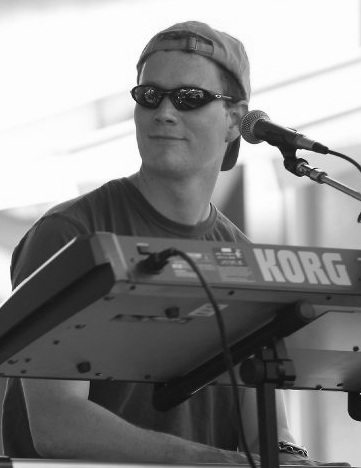 Since then, he has performed in high school drumlines, jazz bands, and concert bands, as well as metal and funk rock groups like Silent Statement, Rainbox, Beyond the Sun, Luxury Yacht, and Fragment, culminating in the sweet grooves of Zen Mustache. Justin is driven by the confluence of chemistry between good friends and the beautiful noise that grows organically from highly skilled musicianship. Ted was handed a cardboard violin before he could walk. By age 3, he turned in his cardboard ax for a wood version, and spent the next 8 years perfecting his Suzuki method. Ted tried to quit violin many times, but it wasn’t until he agreed to pick up the piano that his parents allowed him to burn his Suzuki books. Classical piano lessons kept his attention until middle school, when Ted was handed a trumpet by the band teacher and promised a seat in the jazz band if he practiced. He made it to jazz band, but just in time to discover the guitar and the distortion pedal. Today, Ted can’t play a lick of violin, piano, or trumpet, but he wails on the same Strat he got in middle school, and has recently picked up the mandolin. 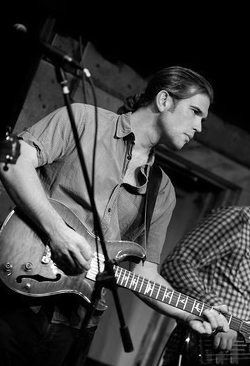 Together with singer Kyle Mason, Ted has played with numerous rock groups between Michigan and Colorado, all in preparation for riding the ‘stache. Zen Mustache formed in the waning hours of 2009 as an unlikely melding of three guys from the alt rock band Fragment, two fellas from rock/folk band Dixboro Trainwreck, and the truly unique funk/rock/jam sounds of BJ Callahan. Zen Mustache is the same number of letters as Led Zeppelin. Rituals are important! Geoff and Johnny down a shot of Patron before every show.